A thought-provoking question for you: Where do you immediately go in a book store? Apparently, this can be insightful into your personality. I tend to gravitate first toward the travel section, meander over to browse decor and design magazines, then check out the blank journals, and lastly, to the fiction novels and books by authors who write about women’s success, their life journeys, or personal connections (well, and spy novels-who can resist the intrigue)? What do you enjoy reading? I could spend hours in bookstores. The atmosphere feels so civilized and calming; great for daydreaming, and sometimes there are inviting coffee shops nearby. There aren’t any “real” bookstores in Swaziland, so when we venture to South Africa, it’s one of the first places we go. Do you seek out books when you travel? It’s one of my favorite parts of going to a new city, exploring its bookstores and cozy spaces. 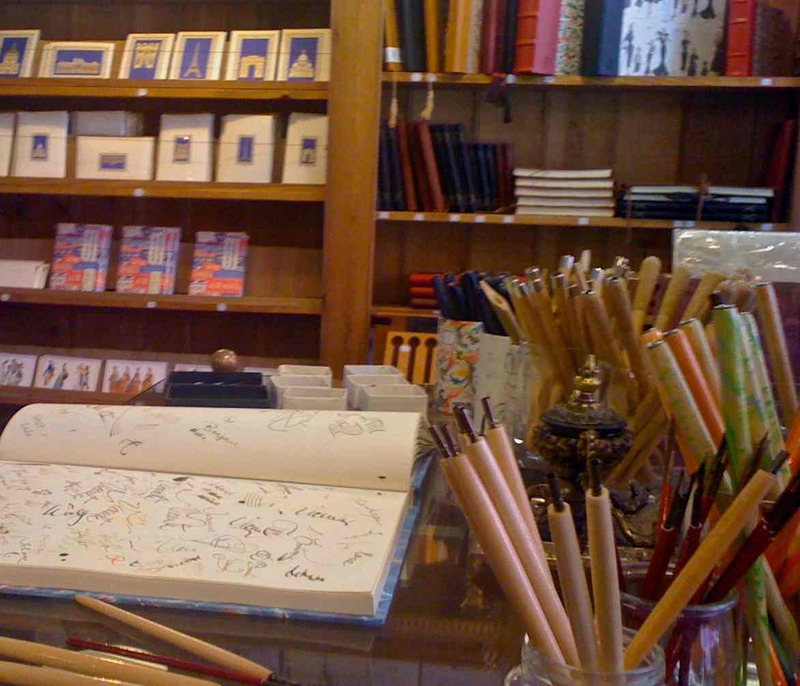 Shakespeare and Company in Paris feels like boarding an old pirate ship full of treasures waiting to be discovered. Book shops in London remind me of a Charles Dickens era with rows of gorgeous, dark mahogany shelves showcasing the classics and latest works, alongside beautiful, hand-stitched leather journals. Drinking in cafes and all things writerly appeal to me. For more than a decade, I’ve used a little Mont Blanc “Mozart” fountain pen when journal-writing (and to write old-fashioned letters and postcards). I have to admit, I’ve caught a lot of guff from colleagues in meetings about having to change the ink cartridge mid-sentence, or rub ink off of my hand…but I love the way the nib feels on paper, and the art of writing. I also have a fervor for stationery stores. In addition to beautifully hand-made paper, some stationers in Italy, France, and Spain carry little vials of ink , sealed in wax, with glass pens. It feels very Shakespearean,or Hemingway-like, depending on the vibe. Which are your favorite places to peruse passions and prose? What do you wish to dare (or dare to wish)? Favorite journal with seashell by Gala. I love Jamie Ridler’s idea of wishcrafting. When is the last time I stopped to really wish for something? Like most women, while trying to strike some semblance of balance while wearing many hats (wife, mother, career professional), what I truly long for are more stretches of time for myself to CREATE and feel inspired. To write in my journal, play with collage, have tea in an ambient space, explore a new art technique, browse a stationery store (I have a sort of paper fetish! ), or slowly savor pages of a travel magazine. Perhaps slip in a yoga class, walk in the fall leaves, and carve out peaceful moments amidst the (happy) chaos.